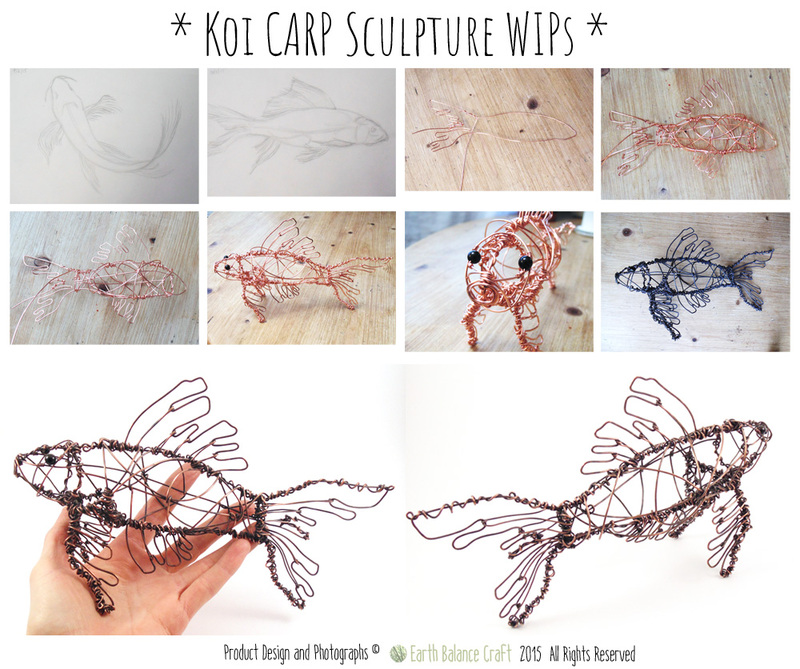 Sharing with you the complete design process of the copper wire koi carp sculpture. View over the different stages from sketches, to wire-work, patina finish and the final polish. Each of our wire ornament designs uses a free-form technique to create a wire frame that provides stability to the structure. The profile wire shape becomes the central point for the body, head, fins and tail to wrap around.